Simple and sophisticated - the Stand Steady ProErgo Mesh Ergonomic Office Chair / Desk Chair / Computer Chair offers a mesh high back and other thoughtful features to help make work a breeze. 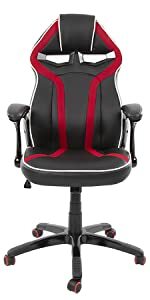 Highlights of this ergonomic chair include a very comfortable padded faux leather headrest, generous arm rests, and 360 degrees of swivel. You also have the ability to adjust the tilt and lock it in, plus upgraded casters that roll easily and won’t harm hardwood floors. The chrome accents and clean lines add sophistication to the look, which will help you feel like the boss (even if you’re not). 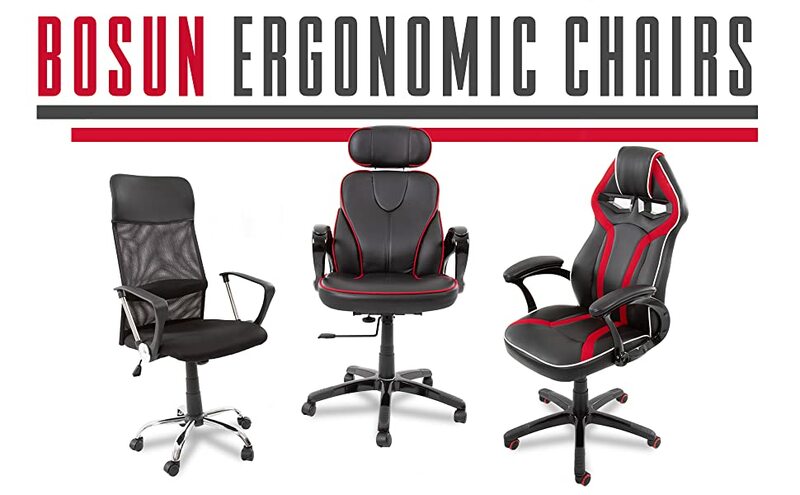 ERGONOMIC: Designed for all day support, our premium ergonomic chair features a comfortable high back and padded headrest to promote healthy posture (even if you’re prone to slouching)! 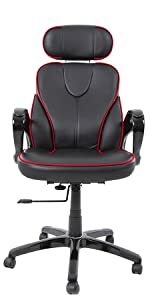 BREATHABLE: Some office chairs can get uncomfortably warm if you’re sitting down for extended periods of time. 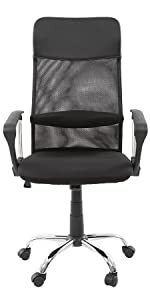 The mesh back panel on this task chair will help keep you cool no matter how long you’re working for! CLEAN & SIMPLE LINES: Offering a sophisticated look accentuated by striking chrome accents, this understated desk chair will perfectly compliment your modern office decor. BUILT TO LAST: Faux leather and durable fabric upholstery is resistant to wear, and easy to clean, so you can spill coffee at will. FRIENDLY FEATURES: Supportive armrests, pneumatic height adjustment, tilt lock, 360 degrees of swivel, and high-quality wheels help make this the best office chair out there. I love my standing desk but found this chair uncomfortable only because of the arm rests. The configuration of the armrests for my office set up made it so I had to lead forward to type, causing back pain. I've only had the chair a couple days. The chair is pretty comfortable. The only problem is is the casters, they don't roll smoothly or roll at all. I'm giving it a couple more days. I may be returning it.